Jim got sick and had to forsake his climb up the corporate ladder. This brought stress into his marriage to Jen that he would never have anticipated. Brad and Savannah got busier and busier and quit communicating as they should, and their relationship paid the price. Brent struggled with a secret sin for years, and when Liz discovered it, it almost ended their marriage. Jared and Sally had an infectious affection for one another, but their financial woes brought much stress to their marriage. Second, everything that each couple faced is predicted by command, principle, proposition, or perspective in the Bible. These couples should have expected the expected. 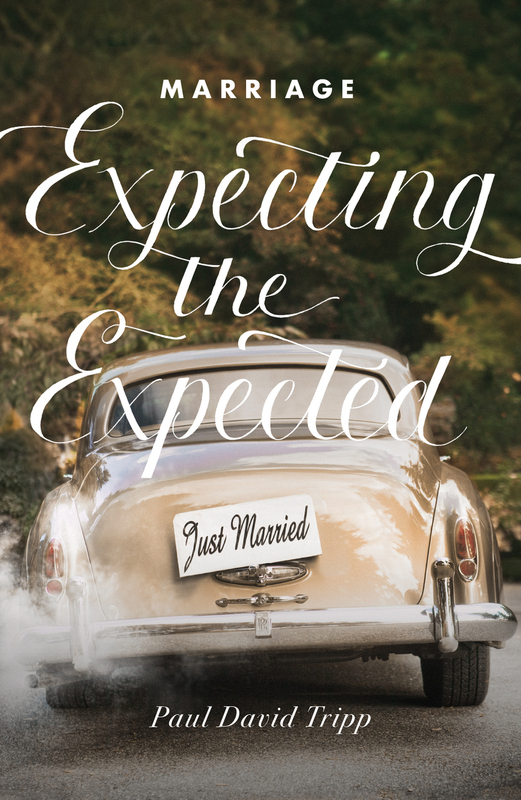 If they had approached the Bible as a wonderful window into their marriage, they would have known what to expect and not been surprised at what came their way. We all face the same thing. Our marriages live in the middle of a world that does not function as God intended. Somehow, someway, your marriage is touched every day by the brokenness of our world. Maybe it simply has to do with the necessity of living with the low-grade hassles of a broken world, or maybe you are facing major issues that have altered the course of your life and your marriage. But there is one thing for sure: you will not escape the environment in which God has chosen you to live. It is not an accident that you are conducting your marriage in this broken world. God decided to leave you in this fallen world to live, love, and work, because he intended to use the difficulties you face to do something in you that couldn’t be done any other way. You see, most of us have a personal happiness paradigm. Now, it is not wrong to want to be happy, and it is not wrong to work toward marital happiness. God has given you the capacity for enjoyment and placed wonderful things around you to enjoy. The problem is not that this is a wrong goal, but that it is way too small a goal. God is working on something deep, necessary, and eternal. Most of the troubles we face in marriage are not intentional or personal. In most marriage situations, you do not face difficulty because your spouse intentionally did something to make your life difficult. Yes, in moments of anger that may happen. But most often, what is really happening is that your life is being affected by the sin, weakness, and failure of the person you are living with. There is one more reality that you have to include as you are trying to look at your marriage as realistically as possible. Not only must you consider the fallenness of the world you live in and the fact that both of you are less than perfect, but you must also remember that you are not alone in your struggle. Yes, you live in a bad neighborhood (fallen world), and the two of you are less than perfect (sin), but in all this you are not left to your own resources. The God who determined your address lives there with you and is committed to giving you everything you need.